We are often asked to explain the difference between supermarket coffee beans and the freshly roasted coffee, now widely available from small independent roasters across the UK. What’s often behind these enquiries is a question about price - “why is posh coffee more expensive and what makes it posh?” and “are supermarket coffee beans really that bad?”. With a price differential often in the region of 100% (supermarket coffees can be as low as £2.50 for 250g, whereas our own coffees start at £5.95 for 250g), we understand why the question is asked. Particularly when it’s so convenient to add a pack of coffee beans, or ground coffee, during your weekly shop. It would be easy to give a flippant response, saying “with coffee, as with many other things in life, you get what you pay for.” But as a "posh coffee" supplier, we see ourselves as having a responsibility to help inform people about the reasons for the price difference, which really comes down to two of the main factors which impact coffee flavour - quality and freshness. Most small independent roasters, referred to as Craft or Artisan producers, normally use beans which are classified as “speciality” coffee. Speciality coffee beans are distinct from “commodity” coffee beans because the production process is designed to produce high quality beans that taste good. Speciality coffees tend to be grown on smaller farms, coming from less productive varietals of coffee trees, and coming from berries picked by hand at optimal ripeness, then washed and processed by hand. In the speciality coffee industry, rigorous quality control year-round will help to limit the number of defective and/or inconsistently sized beans that make it into the final lot. From berry borer traps to good picking practices, producers are constantly monitoring and tending to their crops. Any beans that aren’t of a high enough quality will be removed. Producers know that their pay, and their relationships with their buyers, depend on this. 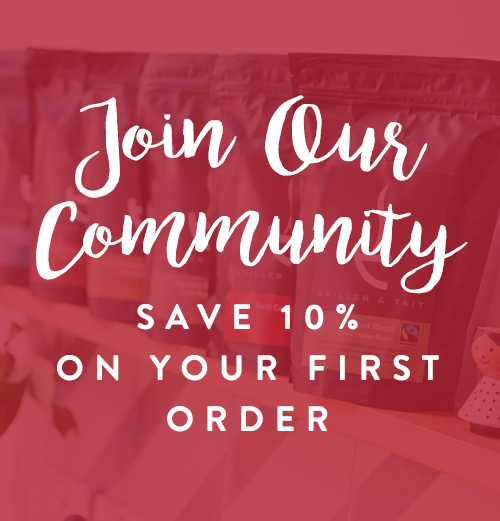 The practices of speciality coffee producers are not driven by a need to achieve the highest yield economically at the lowest price, because these coffees command a premium price. But, for commodity growers, there tends to be far more automation with an emphasis on the speed of production rather than the quality of the beans. Commodity coffee is what you’re likely to buy via the big retailers and supermarkets - either as instant coffee; or in bags of pre-ground coffee or wholebean coffee, that has been purchased based solely on price, and imported, roasted & packaged in great quantities, with the focus being on profit margin. These lower quality beans rarely have the clarity and depth of flavour associated with speciality beans, which also tend to have the less acidity and bitterness than commodity coffees. In addition to their premium price, speciality coffees are distinct because roasters like to highlight the specific provenance of their beans, sometimes down to the farm where it was produced. Whether a blend or single origin coffee, both the varietal (normally Arabica plants), and the country or region where the bean was produced will be specified on the coffee bag, as proof of bean quality. To learn more about where our own speciality coffee beans come from, have a look at this Guide to Our Different Types of Coffee. If you ever inspect a pack of supermarket coffee, you’ll rarely find a roast date on the pack. That’s because supermarkets prefer to maximise the shelf-life and selling period for their coffee. It’s not uncommon for their coffee beans and ground coffee to sit on the shelves for several months, with a shelf-life of 12 months. Those of us involved in producing speciality coffee know full well that to maximise coffee flavour, it really needs to be consumed within days or weeks of roasting, certainly not after several months or years. What would be the point of putting so much effort into producing the best possible quality, if it’s then going to sit in a bag in storage for months, losing its ability to fully deliver the taste that it could do if consumed closer to roasting and packing? This is especially true of pre-ground coffee. When you buy speciality coffee from a roaster, it will usually have been roasted within days, certainly not months. Freshness makes a real difference to flavour. If you want to test this for yourself, leave some beans in a bag in a cupboard for a few weeks, and then get a new bag of the same freshly roasted beans from the same roaster. Give yourself a blind taste challenge and see if you can tell which is which. We know which you’ll prefer. The next time you’re considering where to buy your coffee beans, if that cheap bag of beans at your supermarket doesn’t have clear provenance statements and a roast date, put the bag back on the shelf and order some fresh coffee beans when you get back home… ideally from Spiller & Tait!